How Do I Care for a Hanging Strawberry Plant? Having a fruit and vegetable garden can be a very rewarding experience. Gardening often is thought of as being relaxing, and you’ll have the benefit of fresh produce that can’t be matched by a local grocery store chain. One fruit that you can grow is the strawberry, and there are several options. Strawberries can be grown in the ground, in a window box or in a hanging basket. This last option takes some special care when compared to more conventional growing methods. Determine the appropriate time to start growing a hanging strawberry plant. In climates that experience mild winters, strawberries can be started in late summer or early fall. In climates that have harsh winters, wait until spring to plant. It would be too difficult to keep a hanging strawberry plant alive during a harsh winter. Hang the strawberry plant where will get at least six hours a day of full sun. 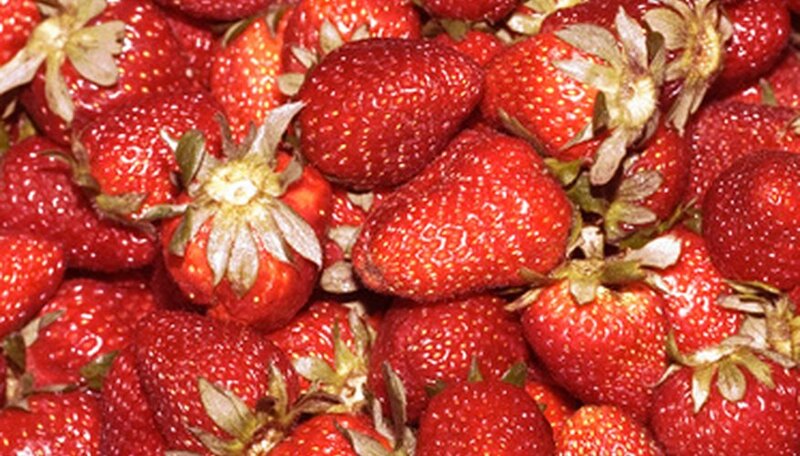 This will help the plant grow to be full and healthy, and produce more luscious strawberries. Check the base of the hanging strawberry plant often. The upper roots of the plant should remain about ¼ inch under the soil. Make sure the crowns aren’t buried and that the roots aren’t exposed to the sun. Buried crowns will rot and exposed roots will dry out in the sun. Water the hanging strawberry plant every day. Strawberry plants grown in containers require more water. This step is especially important once the strawberry fruits start to grow. Water the hanging plant twice a day during particularly hot summers. Apply enough water at each irrigation to moisten all the of soil, but not so much that it creates puddles on the surface. Fertilize the soil twice a year when the plant starts to grow and blossom. Apply a fertilizer that has a high phosphorous content. Follow the label instructions. Fertilize again after the plant has been harvested. When Do You Plant Strawberries in Washington? How Do I Fertilize Strawberries With Miracle-Gro?